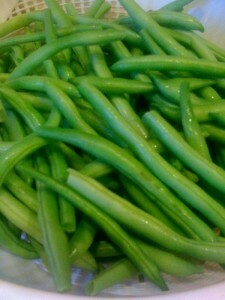 First, on August 14 at 6:30 pm, co-founder Emily Paster will be teaching a demonstration class on how to make dilly beans. This class will take place at Green Home Experts in Oak Park, the site of the August 26 food swap. At $40 per person, this class is an affordable way to learn the basics of pickling vegetables -- a very handy skill as we come into the garden harvest season! All the participants will go home with a detailed recipe, a jar of crunchy, tangy pickled green beans, and a thorough understanding of safe canning techniques. Sign up by calling Green Home Experts at 708-660-1443 to reserve your spot. Are you already a passionate canner? If so, then you must know of Marisa McClellan, author of the popular canning blog and now cookbook Food in Jars. Many of you are looking forward to meeting Marisa and having her sign copies of her book at the August 26 swap. But, that event has been sold out for weeks, leaving many of Marisa's fans disappointed. Fear not! Marisa will be in Chicago that whole weekend and there will be multiple opportunities to meet her, learn from her and have your copy of her book signed. Marisa will be teaching a canning demonstration class and signing books at the Batavia Farmers' Market on Saturday August 25 from 9:30-11 am. This is a free event. Come and meet Marisa while stocking up on fresh fruit and vegetables! From 12:30-2:30 pm on Saturday the 25th, Marisa will be signing copies of her beautiful new cookbook, also entitled Food in Jars, at the Morton Arboretum in Lisle. Morton Arboretum is a glorious spot filled with natural beauty and miles of hiking and biking trails. A perfect place to spend a summer afternoon. This event is included in the price of admission to the Arboretum. Saturday evening, Jennifer Downing of Nourish Cooking is hosting an informal reception for Marisa at the Yellow House. Meet Marisa, have your booked signed and pick up food preservation tips from a pro. Enjoy hors d'oeuvres and summer sips amongst the garden, honey bees and chickens. This event is $30 incuding a copy of the Food in Jars cookbook, or $10 for the reception only. Sign up here. On Sunday August 26, from 9:30 to 11 am, Marisa will be teaching a canning class using one of the recipes from her cookbook at Green Home Experts in Oak Park. The fee for the class is $40 and includes a jar of Marisa's handiwork. Following the class, from 11 am to 2 pm, Marisa will be signing books at Green Home Experts. This event is free. Copies of Food in Jars are available at Green Home Experts for $23 while supplies last. And then, of course, the August Food Swap will also be held at Green Home Experts from 3-5 pm. If you were not quick enough to snag a spot, place your name on the wait list and maybe a spot will open up. As always, it is free to participate in the Chicago Food Swap, but pre-registration is required. That's enough for August! 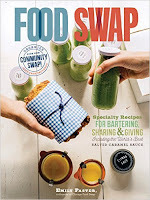 Stay tuned for information on the October Food Swap and Emily's canning class at the River Forest Whole Foods Market, as part of a joint venture with the River Forest Public Library on Thoughtful Living on October 20.